Ringworm can be one nasty condition to have, especially the irritating itch that accompanies this infection. The worst part is that you can almost go insane trying to resist the uncomfortable urge to scratch since doing so will only spread it to other body parts, making things worse!! This fungus is practically everywhere and if precautionary measures aren’t taken then it’s very easy to become re-infected. 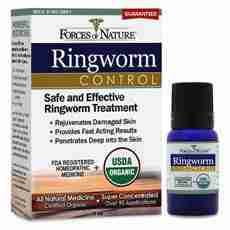 Ringworm prevention goes a much longer distance than cure. Here are 7 Ringworm Prevention Tips to help you. Never adopt the habit of walking around barefoot. More, so in public places such as a public pool, public shower or locker room. Your feet can pick up load of germs. Wear thongs in public showers and swimming areas. Clean your sports clothing all the time; the grime and sweat from heavy activity and especially sports with physical contact can allow the fungi to be transferred over. Also make sure you take a shower after playing a sport or taking part in skin-to-skin contact. Having a shower can help rinse away the germs and sweat from your body to prevent ringworm and other skin infections. Wash your hands after handling an animal, plants and soil to prevent ringworm. You don’t want the lingering germs on your fingers to get onto your skin. For effective prevention, avoid direct contact with infected people and animals. Ringworm is very contagious and if you’re too close, airborne dandruff, shredded skin and hair follicles from an infected person may have the fungus and might infect you if they land on you. Practice good hygiene. This includes taking showers on a daily basis, wearing deodorant. If you’re clean, you’re less likely to pick up this disease. Dirty undergarments can breed ringworm infections, so change your socks and underwear at least once a day. Wipe your skin with a clean dry towel after shower. Ringworm disease loves damp places, so keep your skin dry. 7. Avoid sharing clothes, sports equipment, sheets, towels, combs, hairbrushes, burettes, and ribbons, all these carry infections including ringworm. How long is Ringworm contagious after starting treatment?